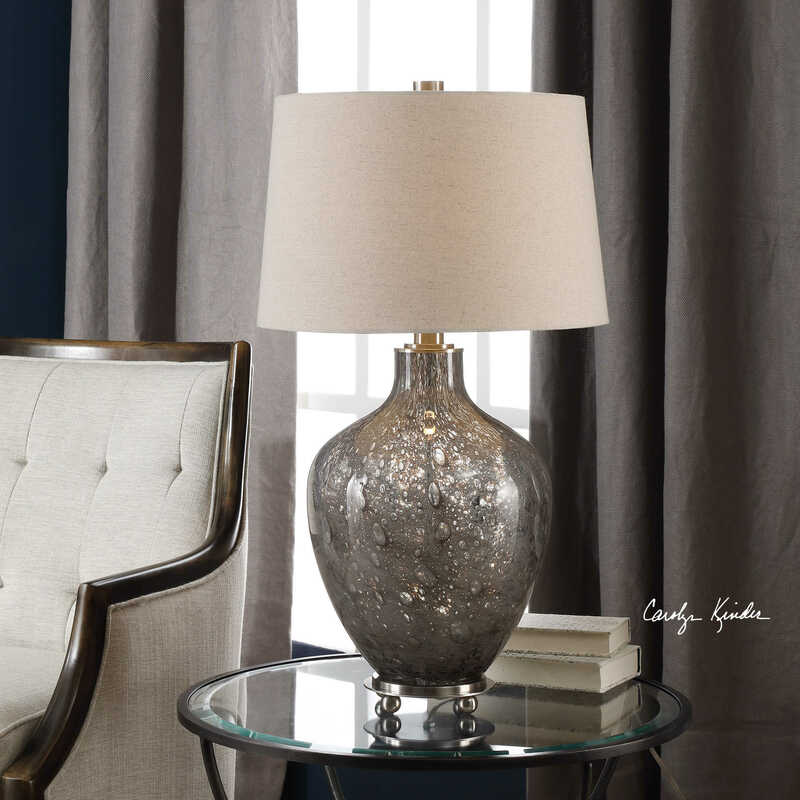 The Adria Lamp features heavily seeded transparent gray glass, accented with brushed nickel-plated details. The tapered round hardback shade is an oatmeal linen fabric with natural slubbing. Designed by Carolyn Kinder International. Available to trade professionals at Uttermost.com. For retail purchase Google search term “Carolyn Kinder Adria Lamp”.